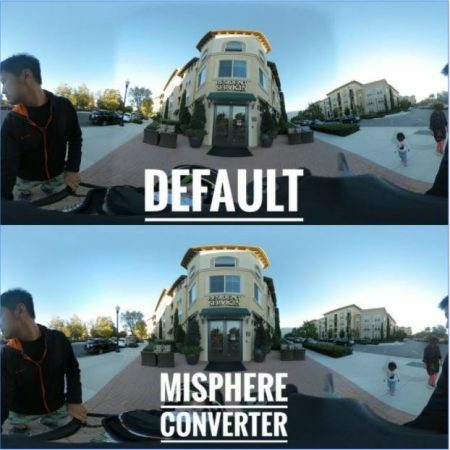 MiSphere Converter is a third-party app for stitching photos from the Xiaomi Mijia Mi Sphere (the Xiaomi 360 camera), which is the best 360 camera for photos for consumers. The tricky part is that Xiaomi’s stitching is not totally perfect (it was never bad to begin with, but it’s much better now than when in started). Fortunately, Yoichi Hirota, the developer of Theta Converter, has created a third party app for the Mi Sphere called MiSphere Converter that uses optical flow stitching, resulting in smooth stitching, as you can see in the sample shots above and below. 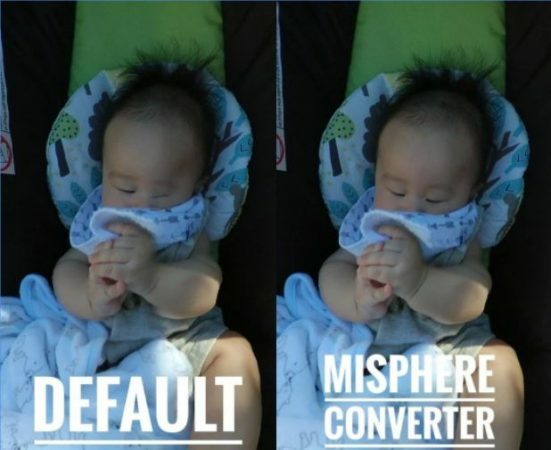 MiSphere Converter is on sale right now for 50% off at $5.99, only until December 3. With a modest investment in MiSphere Converter, the best 360 photo camera for consumers becomes even better! If you don’t have a Xiaomi Mijia Mi Sphere yet, check out the latest discounts here. Thank you very much to Eddie Pearce and tech vlogger Pepe Vazquez for sharing this info with me! Results look good Mic! Do you have any full size pics to look at? Can’t seem to find any examples online. Thanks Roland! I’ll update the post to include links to actual samples. Hope there is an iOS version in the work. I installed the evaluation version. It says it cannot work standalone and I have first to load pics on googlePhotos or QuickPic, which for me is annoying. Is the full/paid version the same?? I have requested Mic to make a YouTube video to demonstrate us how to use this app (Misphere Converter). By the way, what I have understood from the instructions given in the app is, you need not upload any photos to ‘Google photos’ or ‘Quickpic’ to use this app. You can open the gallery in android phone, from there select a 360 photo, press share button and in the dropdown options select ‘Misphere Conveter’ app. I think what the app intend to say is, if you have 360 photos in ‘Google photos’ or ‘Quickpic’ they have to be imported to this app first to be used (stiched). Looks promising! Just to confirm with you guys, this app is for images only? No video stitching? Hi Jeff. It is possible to use Hugin to stitch but I haven’t tried. Can you please make a YouTube video to demonstrate us how to use this app (Misphere Converter). Somehow I’m unable to grasp the short instructions given in the app and unable to use it. Hi Akhil. Yes sorry I have many, many videos on my to do list. Did you see the video tutorial in the Mi Sphere FAQ? It’s under the section for optical flow stitching. Can you ask for another discount for Me Sphere Converter for your followers please! What free program for virtual tours do you recommend? App crashes during DNG stitching (at 99%). Probably my old LG G3 2GB RAM is not enough. Can someone explain me how to put the android software on my windows machine??? or on a Mac??? I tested the free versión on the phone but I did not get anywhere with that.